The Ministry of Home Affairs' (MHA) order allowing 10 agencies to monitor any computer resource is unconstitutional and will get challenged in court soon, said senior Congress leader Kapil Sibal on Sunday. On December 20, the MHA issued a directive authorising select security and intelligence agencies for the purposes of "interception, monitoring, and decryption of any information generated, transmitted, received or stored in any computer resource." 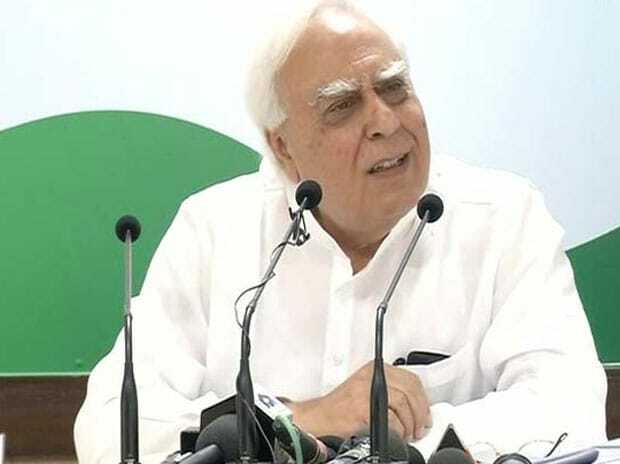 Alleging that the latest directive will be misused by the enforcement agencies, Sibal told ANI, "They gave this power to Delhi Commissioner of Police, CBDT. Earlier, the right was given to the MHA only. Now they've given this right to every institution. After the privacy judgement, Supreme Court had said that privacy is a human right. I think it is an unconstitutional decision and it will get challenged in court soon because if you give Commissioner of police this power, he will use it. These powers will be misused in the same way the enforcement agencies misuse other powers." Calling the order an attack on democracy ahead of the 2019 Lok Sabha elections, the Congress leader said, "Home Secretary is their own man. Whoever makes an intervention, be it CBDT, Commissioner of Police, Home Secretary will give his stamp on it. If it goes to Home Secretary, he will put his stamp and these powers can be delegated as well. These can be given to different organisations, other states. This is a bad step. They have been attacking democracy daily and will continue to do so because 2019 is approaching." Meanwhile, Home Minister Rajnath Singh said, "The Ministry has already issued a clarification. I can't say anything on it right now as the Parliament is in session. If I am asked, I will speak on it in the Parliament." On December 21, the Centre clarified that every individual case will continue to require the prior approval of Union Home Ministry or the state government. "Union Home Affairs Ministry has not delegated its power to any law enforcement or security agencies," the Central government clarified. "The notification does not confer any new powers and adequate safeguards are provided in the IT Act 2000," the government further said, stating that similar provisions and procedures already exist in the Telegraph Act along with identical safeguards.